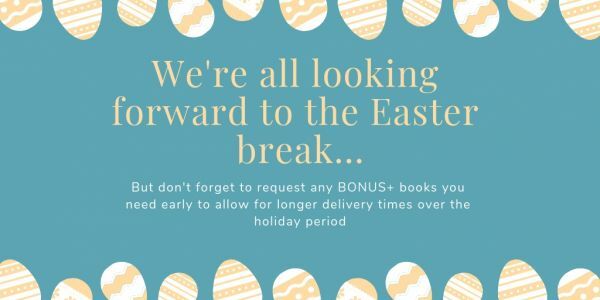 There may be some disruptions to the delivery of BONUS+ books over the Easter holiday period. Due to the public holidays, and the closing times of our partner institutions, it may longer for your BONUS+ book to arrive over the Easter holiday week. Please make sure to request early to ensure that you get your book in time. Services should be back to normal on the 29th of April.